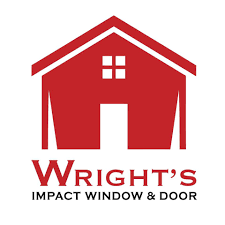 Wright’s Impact Windows and Doors have been serving the West Palm Beach and nearby areas dating back to 1973 – and have vastly expanded since then. They started off as a building supply company but now specialize in hurricane doors and windows, as well as window treatment. In South Florida, Wright’s protects your homes not only from hurricanes but from intruders and sunlight as well. Very strong and highly durable products on offer, with glass that does not crack easily and is shatterproof. Come wind, rain or intruders, your home will be thoroughly protected. They pride themselves with excellent customer service as your happiness is what is important to them. Once you start dealing with them, it becomes evident that their friendly staff really care about you and your home. Wright’s also ensures that each staff member is highly trained and well experienced to take on any job that comes their way. Proudly providing South Florida with hurricane windows, Wright’s have become passionate about ensuring that your home is protected during the worst of weather conditions. These installations are done by highly skilled technicians, so you can rest assured you are left in good hands. The personnel is also trained to keep disruptions to a minimum, get the job done quickly, keep your property neat and tidy as well as protecting your plants and trees during the installation process. Is Wright’s The Right Choice For Your Home? Wright’s consider themselves some of the best in the business as they use high-quality products and are part of the Miami-Dade County N.O.A. (notice of acceptance) and according to standard with the American Society of Testing and Materials (ASTM) which every product needs to pass before being able to be installed into your home. Hurricane impact windows are not only going to keep your home safe during hurricanes but have plenty of other situations as well. Firstly, these are tested to withstand wind speeds up to 150mph. When storms and hurricanes loom, you will have the peace of mind that your home will be safe in these conditions. Furthermore, these windows are reinforced, which means that you will be protected from intruders attempting to break into your home too. An intruder will have a very hard time breaking in as the windows do not crack easily and are laminated to prevent shattering. If a hurricane can’t get in, nothing will! Hurricane windows also save you money by having a long lifetime, insulating your home keeping it warmer or cooler depending on the season. This means you will spend less money on electricity and your overall heating and cooling costs. Amongst these savings is insurance. many insurance companies offer an up to 50% lower rate to homeowners who use approved hurricane impact windows. These windows also increase the value of your home, if you plan on selling then you will fetch a higher price for your home than originally. Living in a noisy area? Hurricane windows are noise reducing with the stronger window. No more noisy music, trucks, and airplanes disturbing your sleep. Wright’s mainly offers two different types of windows; Casement and Single hung but also offers other options when interested in less traditional windows. These windows come in all shapes and sizes so you will not have to worry about losing the aesthetic of your home when installing hurricane impact windows. The casement windows are very open windows, giving your home a spacious look without losing any strength. The single hung windows are a more classical looking window which a lot of people find very appealing. They are easy to open and close and they remain strong and study as a hurricane impact window should be. Because of hurricane impact windows being so important in the South Florida region, Wright’s offer multiple financing options so that cost will not be a hindrance to protecting your home. PACE offers an up to 25-year financial aid. Which means you will never have to take out a huge lump sum of money out of your own pocket to install hurricane impact windows. When hurricanes come rumbling and you need protection, Wright’s certainly is the right choice. From hurricane impact windows to doors, shutters, shades and blinds, they have everything to cover your needs, and you can rest assured you are in the hands of very capable professionals.